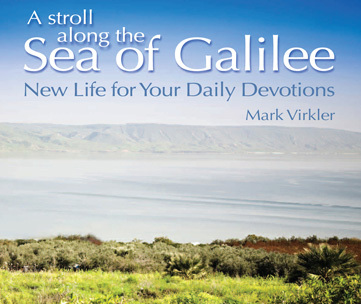 You Are Called to Experience the Lifestyle of the Garden of Eden! We stand at the threshold of a new reformation. It involves the fulfillment of God's passion, which is an intimate love relationship with you. God has sought to restore this lifestyle experienced by Adam and Eve in the Garden of Eden ever since it was lost through sin entering into the world. Now you can participate in ushering in this reformation of spiritual intimacy to the Church and the world. Jesus saw visions all the time. He only did what He saw His Father doing (Jn. 5:19, 20; 8:38). I want to imitate Jesus. But before I could live that way, I needed first to learn how to become a seer. Daniel simply said, “I looked,” and he saw (Dan. 7:2, 9, 13)! However, for many years, I didn’t look and so I didn’t see. Josh has always struggled with headaches. He took headache medicine every day or two, for years and years. He tried everything he could think of. He went to the chiropractor, the homeopath, he tried cutting sugar from his diet...everything anyone suggested, he figured was worth a try. But nothing helped. When we laugh, we bring healing to our lives. This Report is From: Pauline Burthwick – a Certified CWG Facilitator The greatest fruit we have seen in our ministry in Africa is from teaching how to hear God’s voice because the pastors are being transformed and as they hear God and obey they are bearing much fruit. Just since we have left there one Pastor in Uganda will be baptizing 8 Muslims who have converted due to his ministry of inviting them into his home and our equipping with materials on winning Muslims to Christ. He even teaches them the four keys to hearing God's voice and God speaks to them and they desire salvation. The other thing we see is that many people are delivered from bondages as they confess sins and repent of witchcraft and unforgiveness as well as many other things. This often leads to physical healings as well. This Blog is Reprinted from Fount Shults, a Powerful Minister of God “When anyone hears the word of the kingdom and does not understand it [literally, who does not put it together], the evil one comes and snatches away what has been sown in his heart” (Matt. 13:19). If you did the exercise we suggested in the previous blog, you will have noticed that you often do not “put together” what the other is saying because you are trying to “put together” your own thoughts or responses to what you think they are saying or what they ought to say. The times you failed to “put it together” were the times of the lowest level of heart-to-heart intimacy. My name is Penny Burton and I'm from Grace Church in High Point, NC. I'm on the Women's Prison Ministry Team. We were at our local prison a few weeks ago. I felt led to speak and do the music. I asked the Lord what to bring to the ladies and He told me to bring your message on the “Four Keys to Hearing God's Voice.” The Lord helped me to condense it to a 20 minute teaching. We gave the ladies journals and pens so we could practice it together. I felt led to play the song "At Your Feet" by Casting Crowns before we began journaling. Listening to the song helped the ladies picture themselves at Jesus' feet. Following are some key ingredients from the most successful Prayers That Heal the Heart Seminar I have ever conducted. Use these as you host the “Prayers That Heal the Heart DVD Series” from your home group! Over the years I have tried countless products to see how they could improve my health. I know that when you give the body the building blocks it needs, vibrant health will be established from within! That's the way the Lord made us. Our bodies have an amazingly powerful ability to heal themselves. Here are some of the best products I've found in this area. Super Nutrient is the best superfood and energy booster we have ever experienced. We have taken this for years and love it.